I had been a bad blogger. I haven’t done any type of food blogging since 2014. [Insert horrified emoticon.] Ever since Instagram, I just stopped blogging. It was so easy for me to post a photo with a short description and just leave it at that. Sometimes I wonder if people still reads blogs. 😛 But hey, I am back again! Let’s start the new year with Snowy Village. 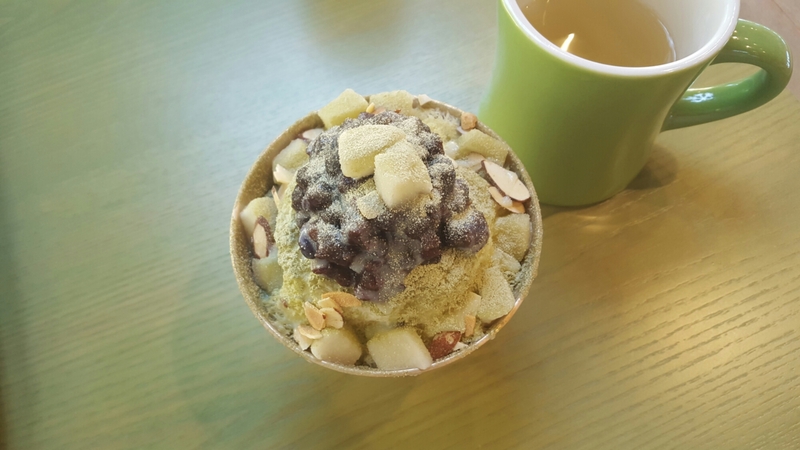 Patbingsu is shaved ice to a powder form, they are much lighter and dust powder like topped with various sweet toppings such as rice cakes, syrup, soybean powder, red bean, ice cream, etc. After we have placed our order, we were served with hot ginger lemon tea.Which is very considerate, because often times when I have shaved ice I get so cold. (Like I need to wear my jacket indoor to keep warm kind of cold.) This tea was a life saver, it was also very delicious and not too sweet! We have ordered the injeolmi bingsoo. The ice sorbet is made of milk, creamy cold flavour in a bowl topped with traditional Korean rice cake. Also a generous layer of roasted soybean powder (please becareful while eating this powder, do not take too much as they will stick to your mouth and will choke you). With condensed milk drizzled on top, so many textures and depth in just one bowl. Soft and fluffy, the bingsoo literally just melts right into your mouth the moment the flaky snow touches your tongue. 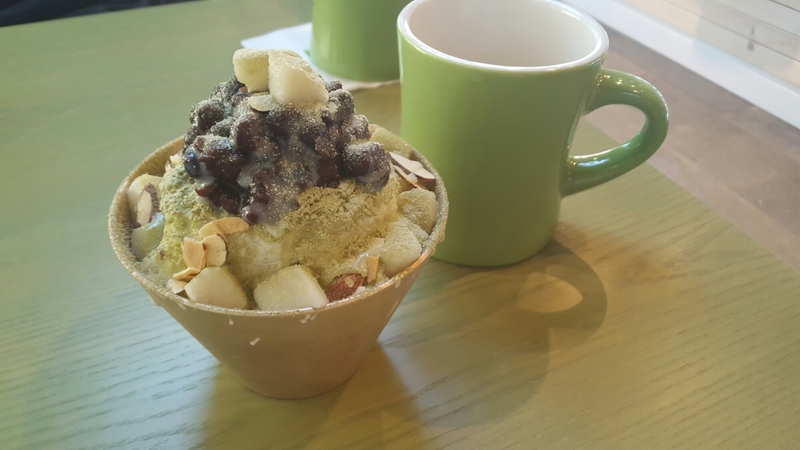 With a wide variety of toppings you can choose from red bean matcha to original injeolmi (a traditional Korea sweet rice cake, not like mochi). With my recent visit to Korea, I can actually compare! But I must say, this franchise is as good as the one I have tried in Haeudae Korea. (Here is a picture below to make you jealous.) 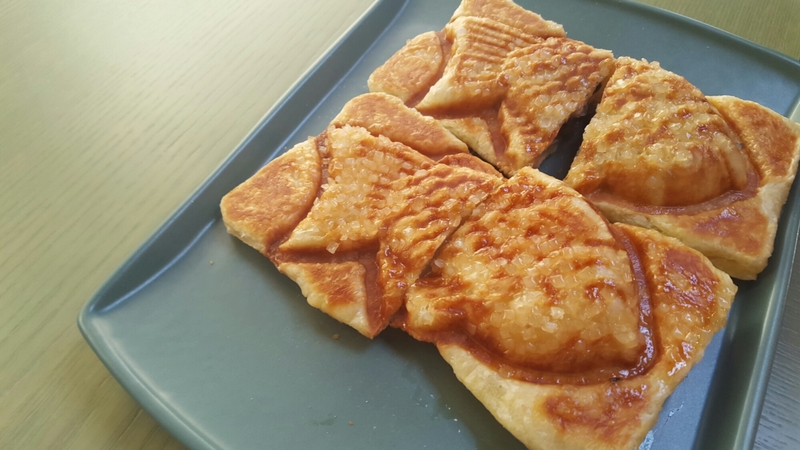 맛있게 드세요!